Wohler USA Inc. is the leading manufacturer of visual inspection camera systems. Our pipe and sewer inspection cameras are made in Germany and feature cutting-edge technology like pan-and-tilt camera heads, video-recording capability, and digital-distance measurement with locators. 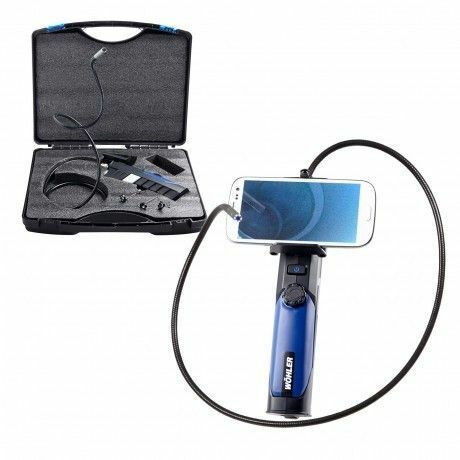 We have video inspection equipment for small and large applications, whether you’re looking to buy a borescope or videoscope for residential pipe inspection, a more advanced push-camera system with a locator for sewer inspection, or a push-rod camera for chimney inspection. Our inspection cameras will save you time and ensure your accuracy as you investigate damage and repair pipes, sewers, and chimneys. Browse through the Wohler video inspection camera configurations below and contact us if you have any questions. If you would like to purchase an inspection camera, you will find a list of distributors under the contact tab. You may also call us at 978-750-9876 or fill out our online form and we will call you. Our experienced staff is poised to provide you with exceptional service and high-quality products.